Welcome to Peaceful Vacays Family Cottage Rental. If you are looking for a peaceful get-away that is still close enough to all amenities then this is the place for you. We cater to families, couples, and quiet vacationers. 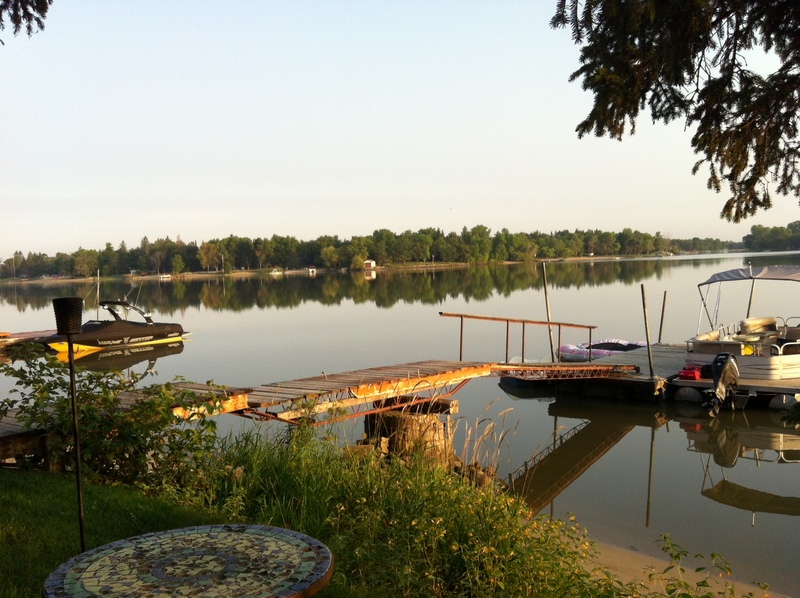 We respect our neighbors and other cottagers and we accept those renters that will enjoy our quiet mecca as we all do. You can enjoy the nature and peace of Netley Creek while hardly knowing that you are within 15 minutes from the town of Selkirk and the city of Winnipeg is just 25 minutes South. Our little Haven offers lakefront with your own private lake access. When renting by the week this fully equipped cottage starts at $175 a night. You can be guaranteed a peaceful, restful, fun featured break at our family type vacation rental! If a full week isn’t going to work for you we can rent for less – please email with dates and we will do our best to make it work. Please visit the cottages link to see what our Peaceful Haven has to offer and if you would like to ask any questions of us we will be happy to answer them. Visit the RATES page to see our breakdown of rates whether you need 2 bedrooms or up to 6. I can happily say that now we offer air conditioning and WiFi and softened water – all are much-needed pleasures during our hot summer days and nights while still trying to stay connected! We also happily can say we offer a dishwasher, washer and dryer, gas stove and fireplace, gas furnace, heated main bathroom floor and the list goes on. You can contact Art or Sharon by filling in one of the contact forms on any of the pages or calling 204*793* 7091. We look forward to making your holiday something extra special! Visiting from out-of-town? Check the links on the sidebar for some useful information. REMEMBER ~ PEACEFUL HAVEN COTTAGE IS OPEN YEAR ROUND – JOIN US ALL YEAR LONG FOR SOME GREAT ICE FISHING, SLEDDING OR OUTDOOR ENJOYMENT OF ANY KIND!